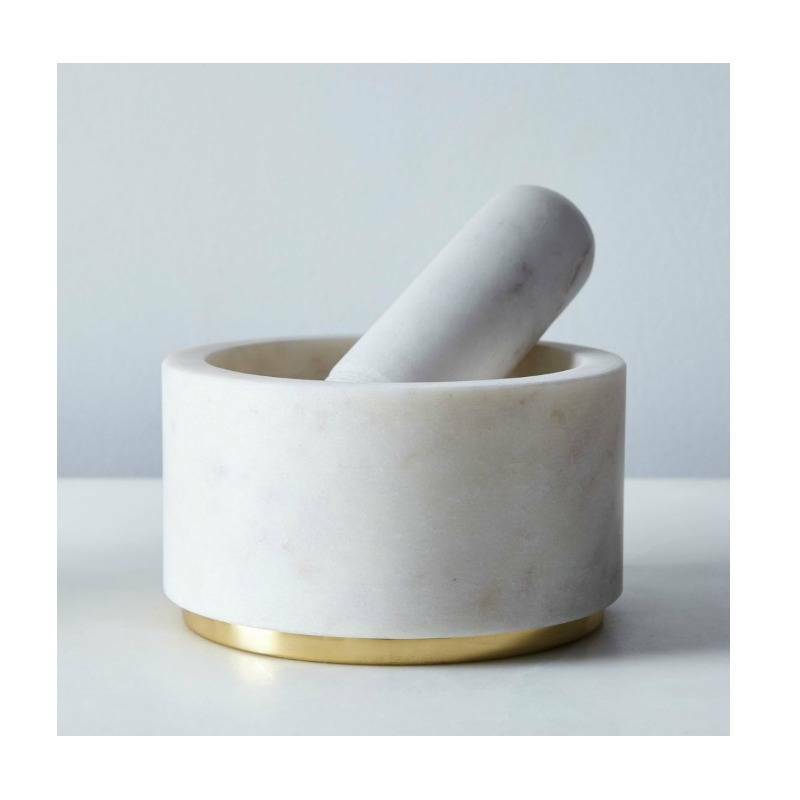 Carved from a solid white marble block and finished with a brass base, the Mara Mortar + Pestle is a beautiful cook’s accessory. 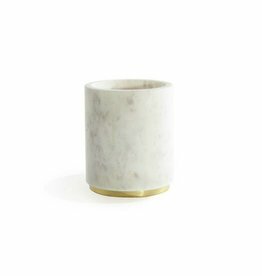 Hefty in weight, the piece is designed for those who love to cook in style. 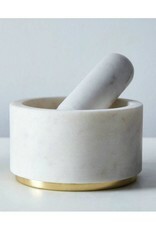 The marble pestle is ridged at its tip to provide an even application of force to whatever it is you’ll be making. 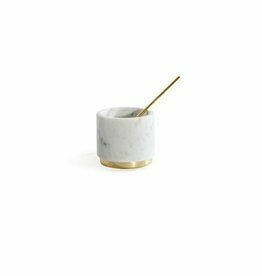 Set on a white circular marble base, with copper details, the Mara Paper Towel Holder is an elevated take on a mundane kitchen necessity. 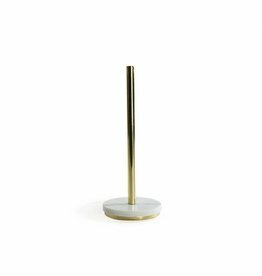 The Mara Utility Canister is adaptable to a range of uses.